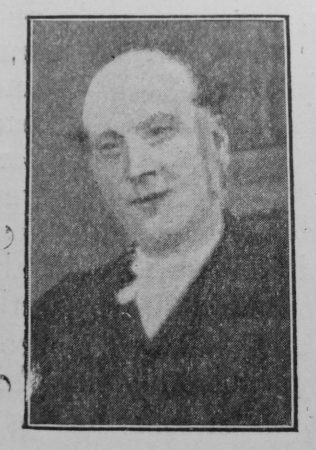 The Leamington Circuit has lost one of its oldest members and officials by the death of Mr. G. Keen, of Napton, who passed away peacefully on February 2nd, 1905, in his eighty-seventh year. He was converted at the age of nineteen, and after his conversion he commenced to work for the Master. He filled many important offices, among which were the following: local preacher, Society steward, trustee, superintendent of Sunday School, class leader, for many years, and he discharged the duties involved with great credit. His home with his sainted wife (who passed away two years before him) was always open for ministers and laymen who received the greatest kindness and the truest hospitality. During the last few years he became very feeble and had to give up all official positions, but his interest in Christ and the Church was as keen as ever. It was quite interesting to see him in the House of God even in his infirm condition, listening to the unfolding of God’s word. His end came rather suddenly. He had not been well for a few weeks, and all that could be done for him was done by his family, but notwithstanding he gradually sank. His last words were, “Hallelujah! hallelujah! glory.” Thus ended the life of one of the true heroes of God’s Church. Our prayer is that his family who have done their duty so nobly in looking after his wants may be sustained in this hour of sorrow and separation, and at last meet their loved one beyond. George was baptised on 10 November 1817 at Napton on the Hill, Warwickshire. His parents were William, a carpenter, and Mary. George worked as a carpenter and joiner. George married Ann Ralphs (1823-1902) on 25 April 1843 at Napton on the Hill, Warwickshire. Census returns identify two children.